LOCATION...LOCATIONLOCATION! 2007 Jacobson Home in SUPER location in phase III with Convenient access to CLUBHOUSE and POOL in Gated GRAND HORIZONS! Live in this 55+ Community with Resident owned AmenitiesHeated POOL, Shuffleboard, Clubhouse with library, billiards, craft room and commercial kitchen! 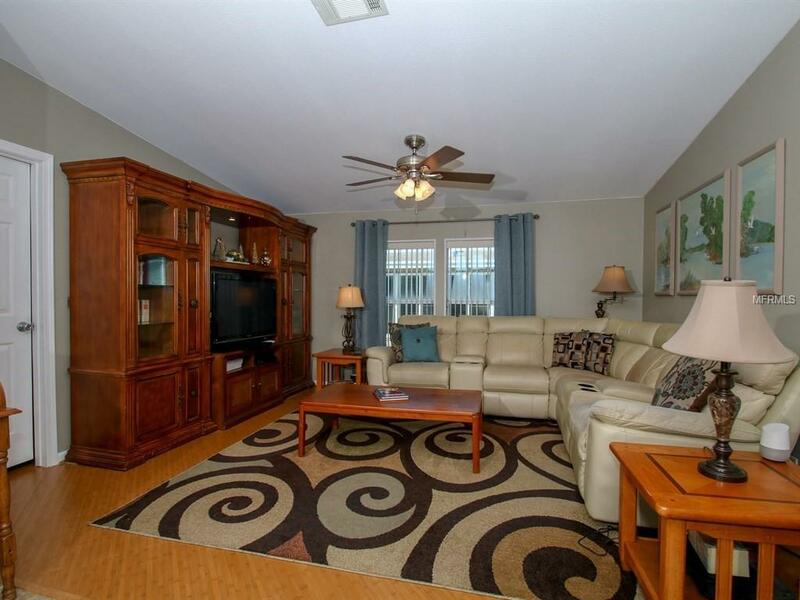 Enter this home from Enlarged 2 car carport into your Light, Bright, Formal living area with bay window. Upgraded Ceramic Tile Floor in front of home with Bamboo wood floor in the rear adding to the value and ease of maintenance! Split bedroom plan with 2 guest bedrooms and bath at the front and SPACIOUS Master suite at the rear of the home. Each has a living area off split bedroom plan for privacy and offers 2 homes in one with the KITCHEN as the center hub. 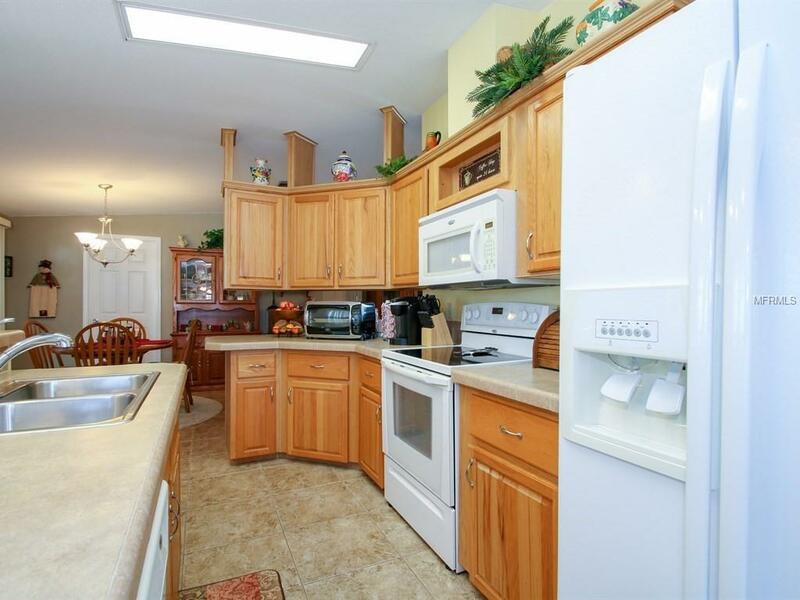 Tile band accent on counters, center island with high bar, lots of OAK cabinets, etched glass cabinet door inserts for china display, pantry storage and easy access to OPEN dining area. 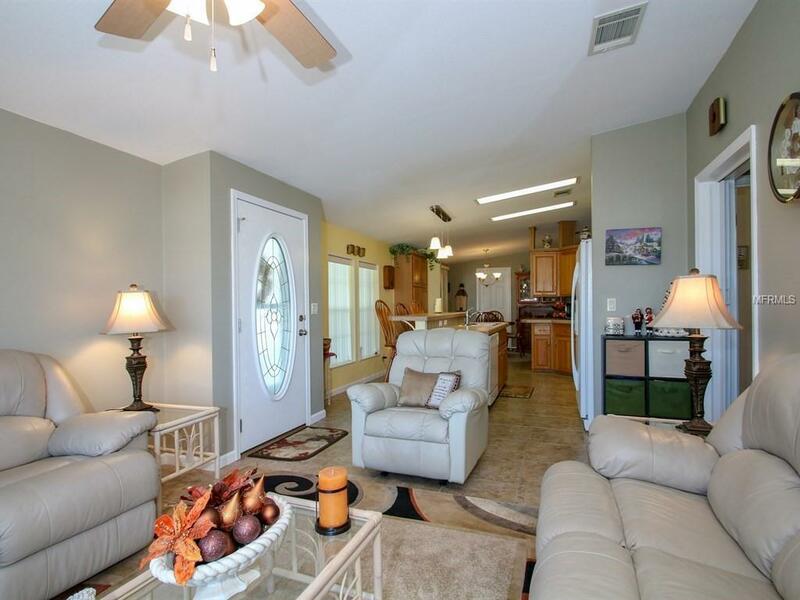 GLASS Enclosed sun room with Tile floors and AC adds to the square footage and entertaining space. Inside Utility room with additional storage and room for a freezer or utility sink. LARGE Utility shed attached to the home, with electric, built in workbench and walkway from the carport. 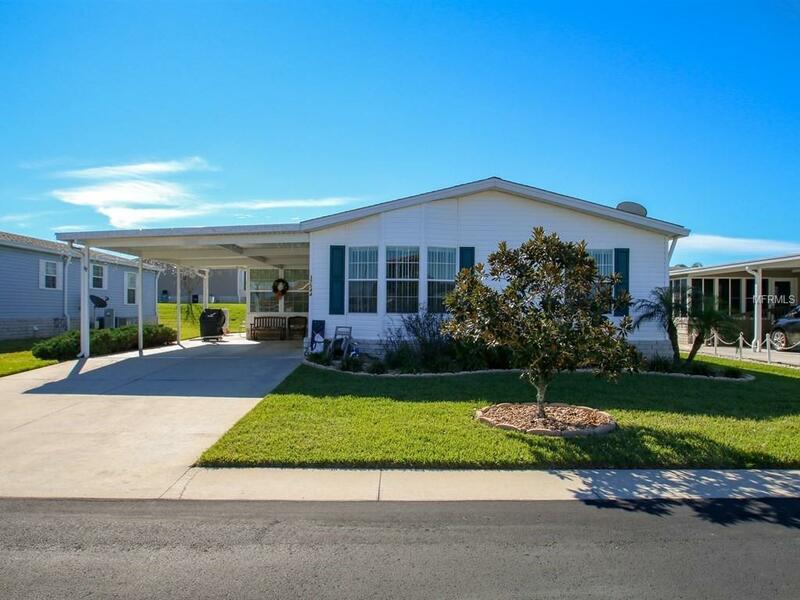 Active 55+ Community in Sunny Florida offers fun planned activities, onsite entertainment, potluck dinners and exciting travel excursions, located within 1 mile of Shopping, Doctors, hospital, theater and YMCA. Some Furnishings Negotiable! CALL Today, COME take a look and Make it Yours! Pet Restrictions No Exotic Pets. Maximum Weight is 40 Lbs. View Rules And Regulations At Www.Grandhorizonsfl.Com For Additional information.